Frankie Valli was born as Francesco Stephen Castelluccio on May 3, 1934 in First Ward, Newark, New Jersey. He became famous as the frontman of the Four Seasons, who reached their peak of fame in the Sixties. 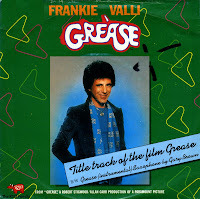 In 1978, Valli was asked to sing the theme song for the movie Grease. Along with the movie, this song became famous and when it was released as a single, it reached number one all over the world.